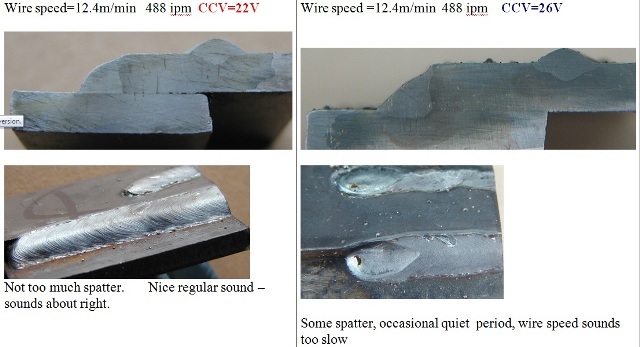 Martin Rubenstein from the UK sent this detailed mig welding report.... I thought it was too good not to share. Google seems to think the correct spelling is Cougar 5 but Air Products confirms the correct spelling is Coogar 5. 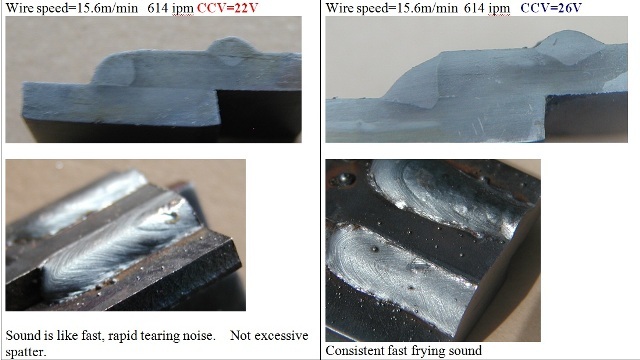 Wire speeds are listed on the images below in meters per minute as well as inches per minute. 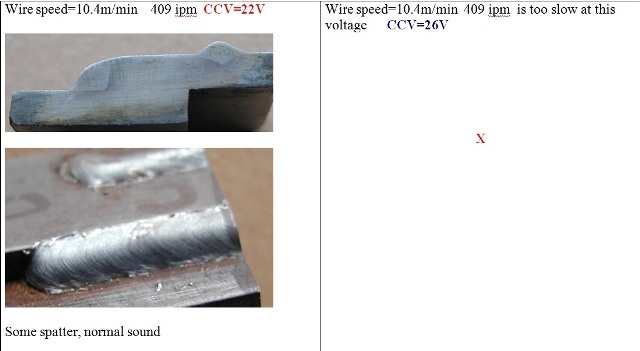 The welds were cross sectioned polished and etched. 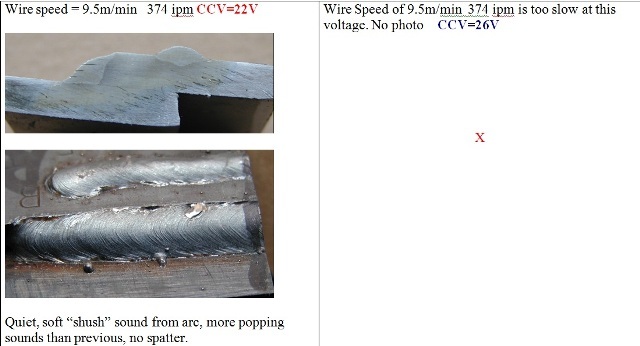 The weld penetration is plainly shown. 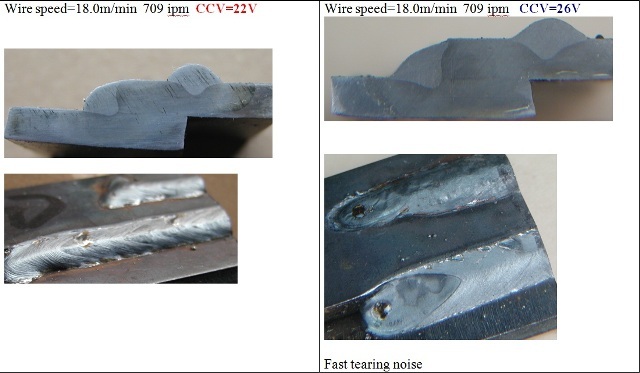 "I did some trials recently at college - MIG penetration vs voltage and wire speed, to help me understand things better. " 2. 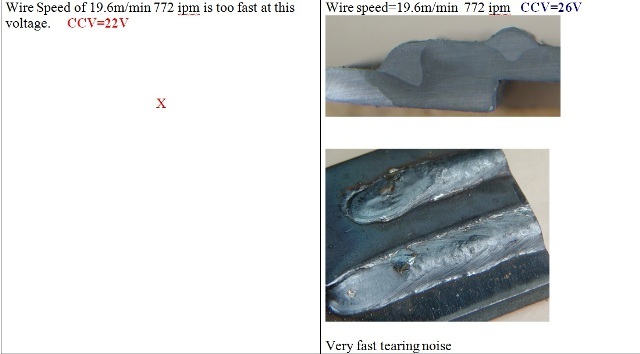 You can get good MIG welds over a much greater wire-speed range (for a given voltage) than I had thought. 3. 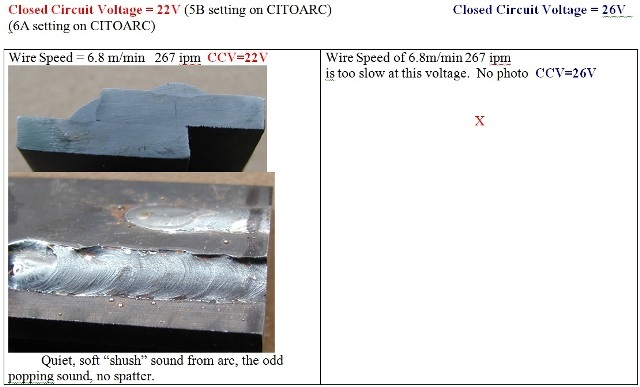 Penetration increases with voltage (again, no surprise); however, a small change in voltage has considerably more effect on penetration than a small change in wire speed. 4. For good penetration (ie always!) set the voltage high and adjust the wire speed to suit (which is what your most recent video is all about). 5. 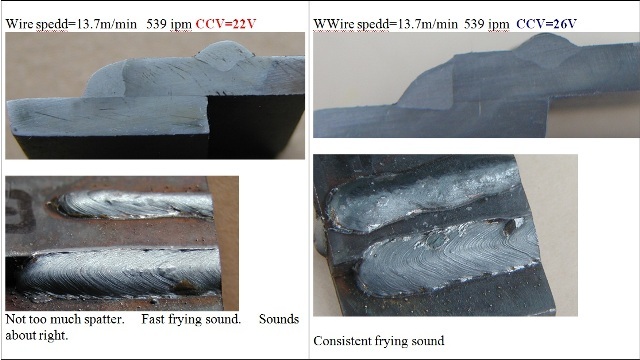 The voltage setting is more critical for a good MIG weld than is the wire speed (which is not to downplay the importance of current/wire speed, of course, but what I have realsied is that I shouldn't worry too much about listening for the right sound; I should concentrate on getting the voltage right, first and foremost).